ARE YOU CUT OUT TO BUY A FIXER UPPER? The lure of real estate investing is great. This article outlines what it takes to buy, renovate, and resell real estate. Find out if this potentially lucrative endeavor is for you in this simple example. Consider investing $125,000 for a run down home in a nice neighborhood (in a lower cost of living part of the country). Next, invest $10,000 in cosmetic updates; clean up the yard and plant some flowers, paint the front door, give the inside new paint, carpeting, and upgrade the kitchen counter tops. Allow another $10,000 for fees, inspections, holding costs, and real estate commissions. Turn around and sell the house for $175,000. Your total cost was $125,000 + $10,000 + $10,000 = $145,000. Sell the house for $175,000 for a profit of $30,000 or a 20% return. Sounds like a great deal doesn’t it? Wait, the entire project is fraught with challenges and may not pan out as expected. Beware, there’s a reason that the potential returns are so lofty, because there are also outsized risks involved. If you do your homework and keep costs down, you will increase your chances of success. Mom and dad started out poor and built wealth through entrepreneurship. Although involved in several businesses throughout their lives, the longest lasting was a real estate business based on buying poor condition homes, renovating, and reselling them. Today, it’s called “flipping”. Our Sunday’s were spent driving around looking at real estate. At age 22 my dad said, I’m going to teach you how to renovate and proceeded to take me on as a partner in renovating my first real estate property. Over time, I bought houses at sheriff sales, evicted bad tenants, bought dilapidated buildings and renovated them. 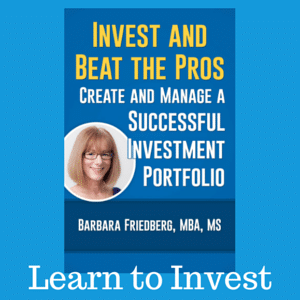 With today’s low interest rates, if you have access to a bit of capital, time, and a hunger to get your hands dirty, this is a superb road to wealth. Research and access to capital are the cornerstones of success. The shows on television about buying real estate with “no money down” are unrealistic. A cornerstone of real estate investing is having some cash, for the renovations as well as for the unexpected expenses that inevitably creep up. Take a personal inventory; Do you have the qualities to succeed? Discretionary time each week to allot to the real estate. You need to be willing to problem solve, have extra time and a flexible schedule, as issues come up at odd times, and be in it for the long haul. Once you commit, it’s difficult to get out. Unlike owning a stock market mutual fund, which you can sell in few moments, real estate is relatively illiquid. If you need ready cash, you can’t sell a piece of real estate in a day. Enough access to cash for a down payment, remodeling expenses, and cash to carry you when things go wrong. Savings are a good place to start, credit cards, and a home equity line of credit are other options. When buying real estate, you can potentially use funds from a mortgage or renovation loan. Be careful not to borrow more than you can pay back within six months or so, otherwise, your interest charges can easily eat up the profits. Learn the pricing in your desired market. Zillow is a great resource for sold statistics. Realtor.com is another one for current data about properties on the market. Also factor in “days on the market” to project time to sell your renovated property. Skills to analyze the income, expenses, and cash flow of rental property. Quite simply, calculate the purchase price (don’t forget to include appraisals, inspections, and closing fees), add in renovation expenses (then add about 25 percent extra for unexpected costs). Add in a few months of holding costs to your expenses in case the property doesn’t sell right away. Subtract all of the projected costs from the expected sales price (don’t forget to include a real estate commission). Personally, I wouldn’t touch a project for less than a 20 to 30 percent projected return. Attention to detail. Spend time researching contractor pricing in your area. It’s cheaper to renovate in Kentucky than California. Know your market. Know loan rates and availability and make sure you can get credit before taking the plunge. Stick to cosmetic repairs initially. In the beginning, it’s much easier and less expensive to change out carpets, paint, replace a few light and bathroom fixtures, and small electrical fixes. Once you get into plumbing, heating, air conditioning and major systems the dollars and problems add up fast. Build up to larger renovations as your experience improves. It’s helpful to invest close to home. When a pipe breaks or there’s a problem, you want to be available to drive to the property, take a look, and make the repairs. Owning remote properties are for the more advanced investor. If you live in a lower cost of living area such as Ohio, Georgia, Mississippi, Indiana, Kentucky, Nebraska, Idaho, or other, it’s easier to buy an initial property. You would need to save less for the cost of the property and likely the repair costs would also be lower. I currently live in the San Francisco Bay area, one of the highest cost of living homes in the country. Although a friend of mine, Sam from Financial Samurai has managed to parlay his savings into real estate in 2003. Today, after double digit price increases, it’s very difficult to employ a real estate investing strategy today in this region. Sam wrote about his real estate beginnings in Real Estate: My Favorite Asset Class. For those of you who appreciate the value, diversification, and wealth building opportunity of investing in real estate but don’t have the cash or time to invest. You might want to consider investing in Real Estate Investment Trusts (REIT). These investments give you exposure to the real estate asset class without the massive capital outlay or management oversight. 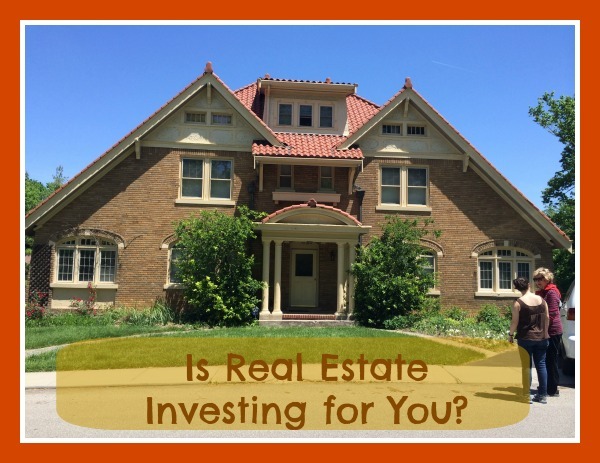 Have you considered investing in real estate? What is your real estate advice? For me, flipping is way too risky to me. If I were younger, I would buy to rent out. I am at a stage in my life where I am not looking for more work. Krantcents-Definitiely requires time, energy, and a risk taking mentality. Keep in mind the real estate fees you have to pay when you sell! You really have to know all of your costs and have a healthy contingency budget because you never know what will pop up… especially for a first “flip”! We have been considering getting into real estate business, either “flipping” or rentals. Though both are risky investments, we are still saving money for it so we still have ample time to decide if we will push through with it or not. @Lance, That’s why you must go in with a deep pocket for all expenses. And every property does not turn out as planned. 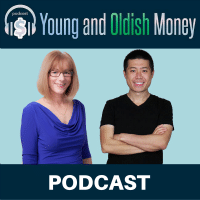 @Cheapskate-If you’re young, energetic, resourceful and have saved up some cash, this is a great way to grow your wealth. Just make sure you are able to resell or rent out your finished product quickly. Holding costs really add up. My advice: don’t do it! 🙂 As an unlikely landlord I’ll share two stories: 1) I spent $20k in five weeks fixing up the place. Deep pockets indeed…..; 2) I spent five weeks fixing up the house. EVERYTHING took longer than I’d expected. The good news? I’m a ninja now at rescreening doors and programming garage door openers. Great tips Barbara! I know of someone whose brother buys property cash–renovates–then rents them out. He buys in your areas that are considered “underserved” and these properties are distressed. Some of these properties are under $15K. They are a cash cow because there’s no problem in renting them. So location is very important. You really have to know the neighborhood and area whether you a flipping or fixing a fixer-upper to rent out. @Joe, I completely get it. This endeavor is not for the faint of heart. I’ve programmed the garage door, never done the screening (and hpe I never will). Rental, yes. Flipping, no. There’s something about racing a clock where every month you lose more money and profit. It’s a bit too risky for me. Another thing is to make sure you have a good loan officer (whether they work for a bank or a broker). If you plan on flipping numerous houses, a good loan officer could be worth their weight in gold. Hi Wayne, Good point, you must know yourself and your risk tolerance. Hi Ohio-Thanks for bringing that up, a trustworthy mortgage broker can make the financing part of the transaction much smoother. These are all excellent tips. I also want to point out another tip. Like you said, it’s important to keep take into consideration the time it takes to sell the property. Another data point you should also look at is the renters market. What if you can’t sell it? Could you rent unit out and try to break even? If I’m not mistaken, your interest rates will be higher than normal since it’s an investment property, so your mortgage payment should be slightly higher. 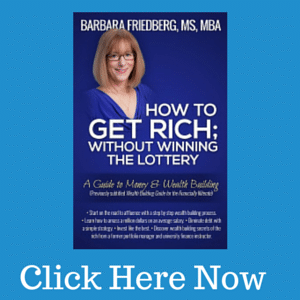 I really want to get into real estate – I’ve wanted it for almost 15 years! I’m going the townhouse route – getting something that doesn’t require a lot of reno because I’m not that handy, although I do come from a family of builders, ironically! @Kevin, There is nothing worse than having a property sit on the market while you pay the mortgage, property taxes, utilities and more. And you are quite correct, interest rates on renovation and rental property loans are higher than those own owner occupied properties. @Nell-We just bought a townhouse last August. There are plenty of internal repairs, some I did myself and others I hired out. (I’m not much on electrical stuff). But it’s nice to have a small courtyard, not a big yard. I always loved the flipping shows on HGTV, but I knew we just didn’t have the time and money to do it. On another note, we were considering buying a fixer upper as our first house. The payments would have been lower, but it still requires a good amount of money to get the ball rolling. I think the price and location are the two most important things to look at. We are just getting into real estate investing and are in the process of renovating a house we were able to get super cheap before it went on the market. We’ll see if we do it again or if this scares us off. @Jen, Don’t get me started on HGTV, I love every single show!! You’re financially smart to consider buying a home that needs a bit of tlc to live in. Also wise to consider if you have the time and money to put into the project. @Kim-Good luck with the project. I hope it works out well for you. Excellent post Barb, I have 3 properties in London which I have fixed up. I am not selling but just renting out and waiting for price to rise further. Great post. We’ve been thinking of buying a fixer-upper in a less expensive neighborhood as a rental property. I’m a little gun-shy, since the area we can afford to buy in is not an area I’m very familiar with and we’ve never owned anything! Mr. LH is very handy, but he has limited patience, so this is something we keep bouncing back and forth. I think we need to do more homework before we jump in. I think you hit on the main thing in your article, with budgeting properly for repairs and then add a 25% buffer. When I attempted to flip a house several years ago, I had highly unrealistic ideas of what the repairs would cost, and I simply didn’t have the cash to make it happen. Having ample cash reserves and realistic cost expectations is key to being successful. @Nick, 3 properties in London is an awesome portfolio. With the desirability of London, they are certain to be strong investments for years to come. @LH, If you decide to go forward, buy at the right price, and don’t “over-improve” for the area, the potential for financial reward is great. @John C-There is quite a bit of mis-information about this topic, and “no money down” and other fallacies, can financially devastate the buyer without a solid cash cushion. I don’t know if I have the stomach for that much risk. Maybe if we went in on it with some friends. The husband has a little but of construction experience, and has some friends that have worked in electric, HVAC and roofing. Teaming up would reduce the risk, but also the profits. @Femme-You’re correct that real estate investing requires not only financial capital, but a strong stomach for risk. Teaming up with others presents a different set of concerns. REITs are a good alternative for real estate exposure, and much more liquid.